Krispy Kreme Flavored Jelly Beans Are Probably Not For The Health Conscious | OhGizmo! 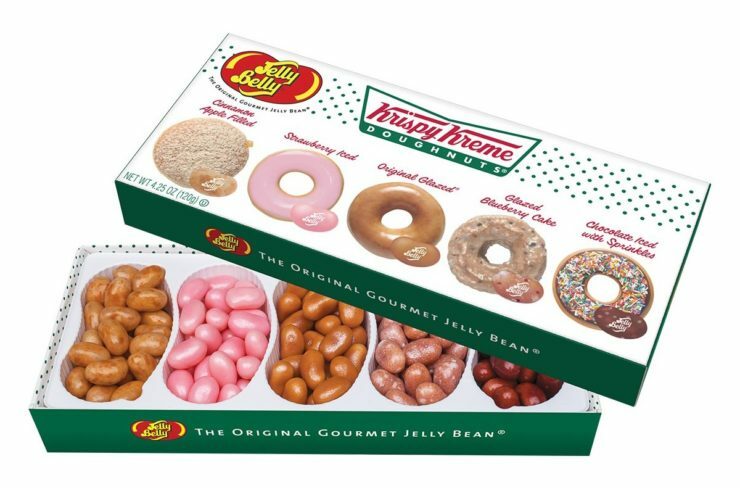 If you’ve ever dumped an entire pack of jelly beans down your food-hole and were worried it might still be tiny bit healthy, than don’t worry, Jelly Belly has teamed up with Krispy Kreme to bring an assortment of 5 flavors which taste like different donuts, each one guaranteed to make your doctor to cry out in agony. The flavors include Original Glazed, Cinnamon Apple Filled, Strawberry Iced, Glazed Blueberry Cake and Chocolate Iced with Sprinkles. Here’s a joke: Why don’t they make jelly beans that taste like healthy foods? Because eating healthy foods is miserable. Sorry, that’s more of a fact. Anyway, you can buy a box for $7, which sounds like a good deal, but be aware that each Krispy Kreme flavored jelly bean that you eat removes 45 min off of your life expectancy. So each bag is actually costing around 3 days, still not as bad as Oreo Churros though.